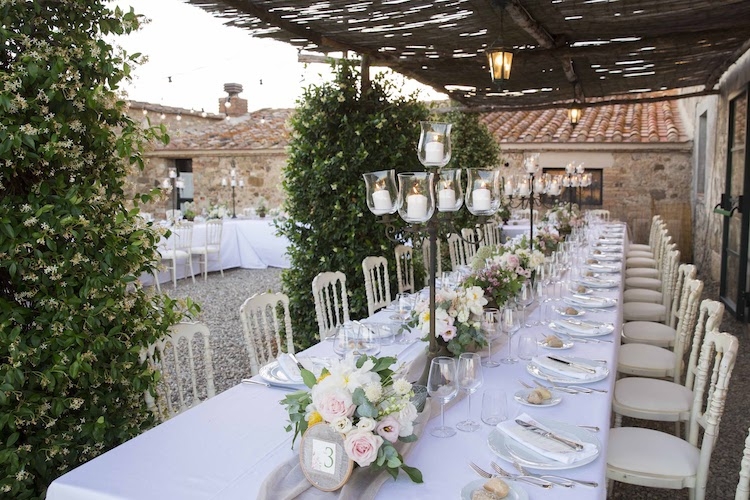 Are you still looking for the perfect venue for your wedding in Tuscany? Take a look at this splendid newly renovated estate which looks over the unmistakable Val d’Orcia countryside featuring a magnificent 20-meter pool (salt water) with 360° view of the surrounding countryside. The resort features a great gravel courtyard that leads to the pool with its pristine green lawn: a reception for 120 guests can be arranged outside. A beautiful pergola is perfect for the welcome drink. The restaurant inside, a charming room with old beams, arched ceilings and terracotta flooring, can seat up to 50 guests. Symbolic ceremonies can be celebrated on the field with a breathtaking view of the Val d’Orcia.